June marks the beginning of LGBT Pride Month, and UCF is hosting several events throughout the month to celebrate. 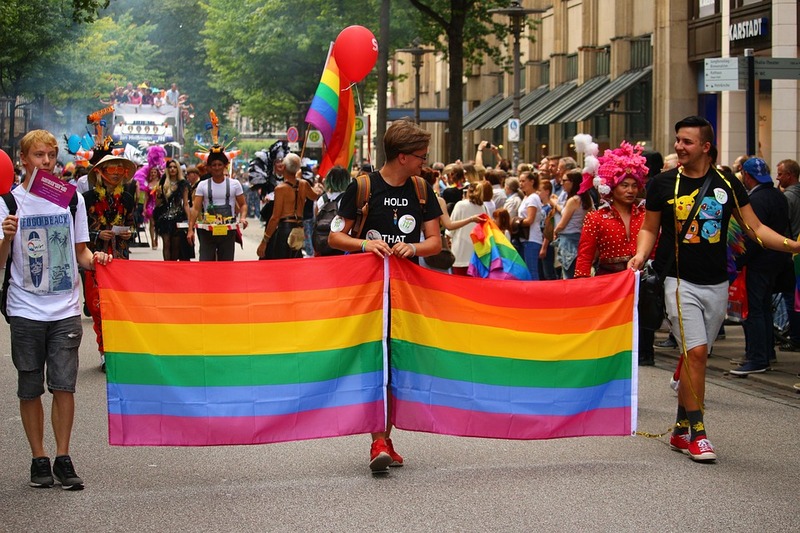 Founded in the 1990s, LGBT Pride Month is a time to celebrate diversity and remember the lesbian, gay, bisexual and transgender people around the world who fought for LGBT rights. UCF’s John C. Hitt Library is the place to be for LGBT Pride Month. They’re hosting screenings and discussions for three movies at noon on June 7, 21 and 27 in room 223. The films are “What Are You,” a piece on growing up as a member of the LGBT community in the Pacific Northwest; “A Simple Matter of Justice,” which details the 1993 March on Washington for Lesbian, Gay and Bisexual Equal Rights and Liberation; and “Screaming Queens: The Riot at Compton’s Cafeteria,” an Emmy Award-winner on the 1966 riot in San Francisco’s Tenderloin neighborhood, the first known violent resistance to gay oppression in American history. The library has also collected materials for a featured bookshelf and a UCF Remembers exhibit, both of which are located on the second floor. The featured bookshelf contains 51 titles, recommended by library employees, that are by or about members of the LGBT community. Everything displayed is available for checkout. The UCF Remembers exhibit will be showcasing materials from the library’s Pulse Collection as well as books, movies and other materials from the general collection representing a wide array of LGBT characters. The exhibit will be displayed from June 1 to June 18. A new archival project entitled Speak Your Truth: A Queer History of UCF is seeking submissions through the library, and LGBT Pride Month is a great time to contribute your own experiences through their Speak Your Truth website. Stories will be displayed throughout June, as well as during LGBT History Month, Diversity Week and at Speak Your Truth events on campus. The Pulse interim memorial is now open as well, where visitors can pay their respects to and honor the victims of the Pulse nightclub shooting. On June 12, 2016, 49 were killed in the deadliest terrorist attack our nation had experienced since 9/11. Among the victims were two members of the UCF community, College of Finance student Juan Ramon Guerrero and alumni Christopher “Drew” Leinonen. Guerrero and Leinonen were boyfriends and are commemorated with a mural on the side of UCF’s Student Union. The memorial is open daily from 7:30 a.m. to 9 p.m. and is located at 1912 S. Orange Ave. in Orlando. For socializing as well as resources and assistance, Pride Commons is a central hub of LGBT activity on the main campus. Located in Ferrell Commons near ‘63 South, Pride Commons is a safe space for LGBT students and allies to spend time together and relax. It opens June 11, with a quilt participation opportunity throughout the week and will stay open Monday through Thursday, 11 a.m. to 5 p.m.
Any UCF students seeking education and resources for LGBT issues can reach out to Social Justice and Advocacy, a branch of Student Development and Enrollment Services dedicated to fostering and advocating for diversity and inclusion on campus. Their LGBTQ+ Services office has educational and community resources available to help students.